The Company offers pest and wildlife solutions for your home or business in the Roswell, GA Area. Divi Designer Project for a Pest Control Removal Company. All the sections were built with Divi modules Testimonials, CTA, Fullwidth Slider, Blurbs, Gallery and Map. Gravity Forms was used to create the contact page. Yoast SEO Plugin was used for Search Engine Optimization. 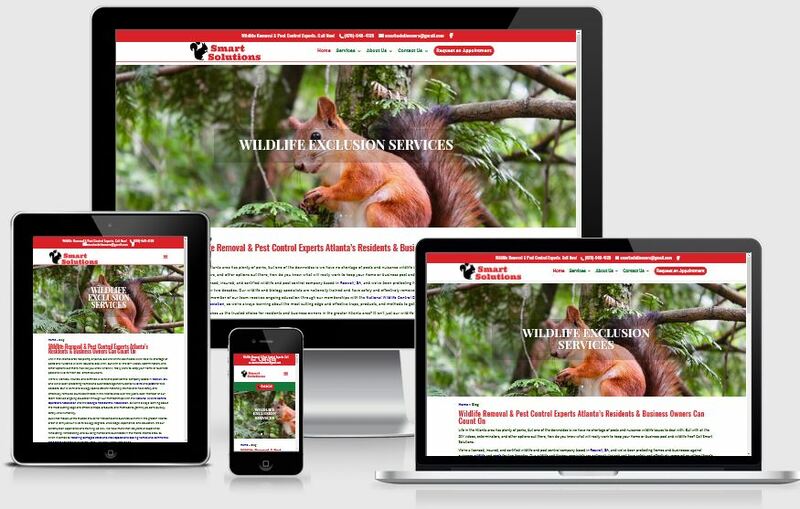 This is a responsive website for Smart Solutions, Roswell, GA. Smart Solutions is a licensed, insured, and certified wildlife and pest control company based in Alpharetta, GA, and have been protecting homes and businesses against nuisance wildlife and pests for two decades.